JOIN LISA CLARK EACH WEEKDAY AT 5AM FOR “LISA LIVE AT 5”! BIG DON - WEEKDAYS AT 10AM ON 92.7 THE WAVE! BUY, SWAP, SELL & TRADE WITH LISA CLARK, MON.-FRI. 9:00-10:00 A.M. ON THE SWAP SHOP! According to the Adair County Sheriff's Office, on Thursday, April 11, 2019 Deputy Josh Durbin and Sheriff Josh Brockman conducted a traffic stop on a 2018 black Chevrolet SUV about 4 miles east of Columbia on KY 80. During the stop, probable cause was found for officers to believe there were controlled substances in the vehicle, but the owner would not consent to a search of his auto. Deputy Durban deployed his K-9 Nitro and a positive hit indicator was given on a particular area of the vehicle. A search of that area resulted in a quantity of methamphetamine, drug paraphernalia and a pistol being located. Dustin Shofner, 31, of Greensburg, KY was arrested and lodged in the Adair County Jail on charges of Possession of a Controlled Substance, 1st degree (Methamphetamine); Possession of Drug Paraphernalia; & Operating a Motor Vehicle under the Influence of Drugs. On Friday, April 12, 2019 Adair Co. Deputies Justin Cross and Chandler Staten responded to an area off Cedar Street after receiving multiple drug activity complaints. The deputies located Daniel Cramer, 45, and Micheal Corbin, 36, both of Columbia, KY. 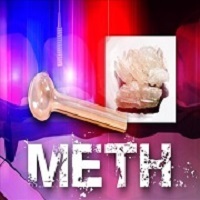 Both individuals were found to be in possession of methamphetamine and were placed into custody. They were charged with Possession of a Controlled Substance, 1st degree (Methamphetamine) and lodged in the Adair County Regional Jail.